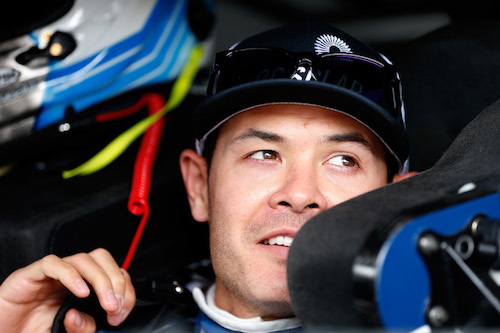 Kyle Larson’s points deficit for 2018 Monster Energy NASCAR playoffs advancement to the third round, or round of eight, remains at 36 points after his No. 42 Chip Ganassi Racing team lost its second and final chance to appeal the penalties it received after the Oct. 14 1000Bulbs.com 500 at Talladega (Ala.) Superspeedway. Sunday’s Hollywood Casino 400 at Kansas Speedway near Kansas City is the elimination race of playoff round two. Larson and his team were docked 10 points, crew chief Chad Johnston was fined $25,000 and car chief David Bryant was suspended from one race for violation of section 10.9.9.d of the 2018 NASCAR rule book which states, “Damaged vehicle repair, regardless of how the damage occurred, is permitted to have original body parts removed or reattached in their original location with fasteners and/or tape only.” According to NASCAR, the team used unapproved metal fasteners to repair crash damage during the Talladega race. The team made its first appeal to the National Motorsports Appeals Panel on Friday morning. After losing its first appeal, the team made its appeal to Bryan Moss, the National Motorsports Final Appeals Officer, on Friday evening. That appeal also was lost.